Serving/Hours – Lunch: Monday-Fridday: 11:45am-2:30pm; Wednesday 4pm-6pm; Sunday: 11am-2:30pm. Features – Fully stocked bar including a wide selection of wines and champagnes. Catering services provided for Weddings, Cocktail Parties, Corporate Events, Meetings, Breakfast, Lunch & Dinners for all special events. Outside catering also available nationwide. International Lunch Buffet Monday – Friday, 11:45am -2:30pm $199 plus VAT, includes a glass of wine. Link to lunch buffet pictures. Brunch on Sundays, 11am – 2:30 pm – $275 plus VAT; $160 plus VAT kids 6-12 years, kids under 6 years free. 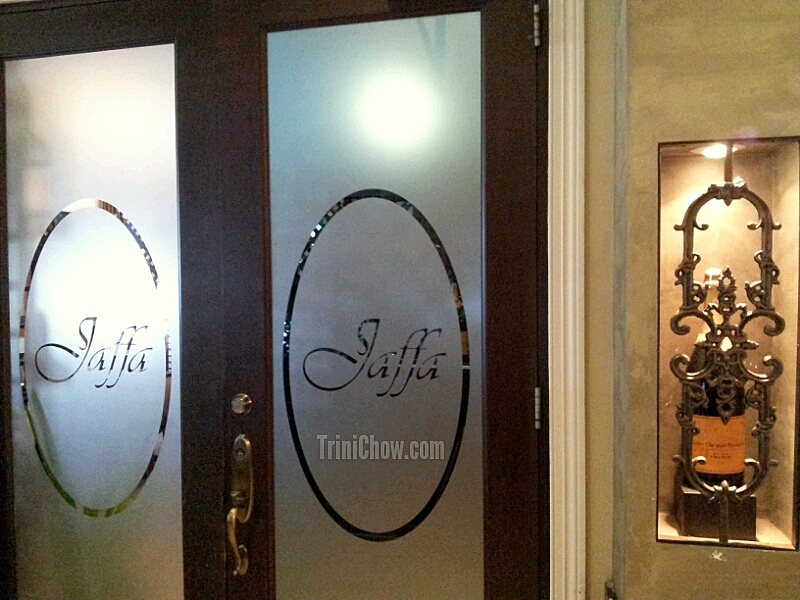 Address/Phone/Email/Facebook Page – # 94 Tragarete Road, Level 2, Pavilion, Queen’s Park Oval, Port of Spain, Trinidad; (868) 622-OVAL (6825) or 628-6200; pthomas@jaffacuisine.com, rjackson@jaffacuisine.com, srandoo@jaffacuisine.com; Jaffa at the Oval Facebook Page. Tags: Buffet, Trinidad Restaurant Guide. Bookmark the permalink.